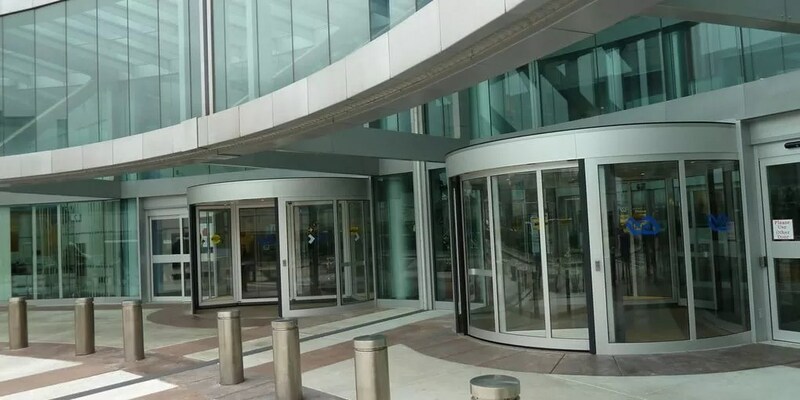 The Besam UniTurn two-wing design securely seals the entrance when the unit is closed, creating a weatherproof barrier which keeps unwanted elements outside. 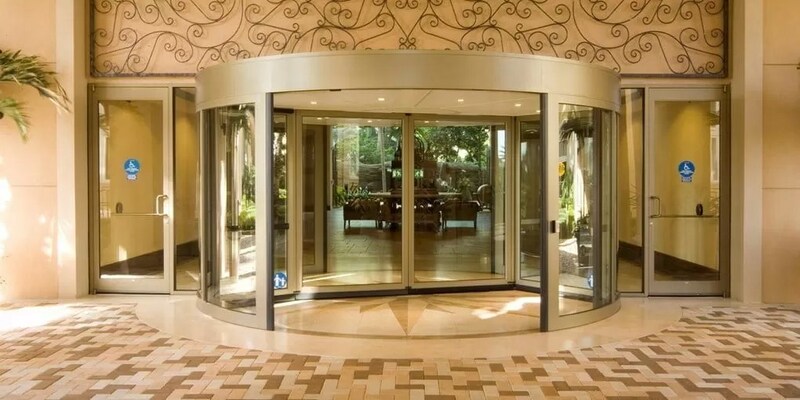 This allows you to better maximize every inch of space in your facility … all the way to your front door. In addition, the energy savings are enormous – covering the initial costs of your door in just a short period of time. 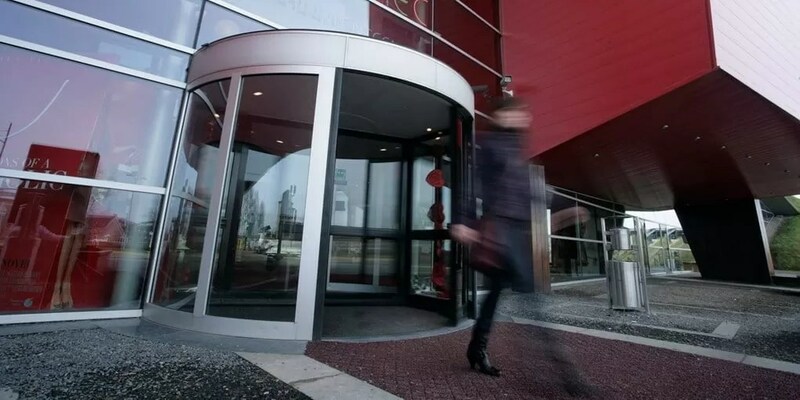 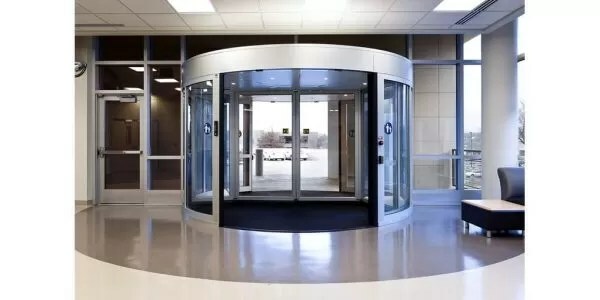 The Besam UniTurn automatic revolving door offers a revolutionary two-wing design that creates a welcoming and spacious entrance with maximum energy efficiency. 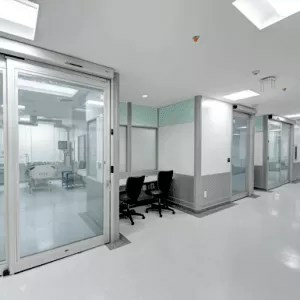 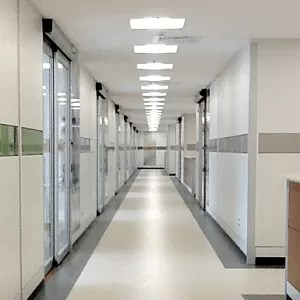 The two-wing structure utilizing a perimeter drive that eliminates the need for a bulky center shaft, creating greater capacity for high traffic while allowing for optimum climate control by securely sealing entrances when the unit is closed. 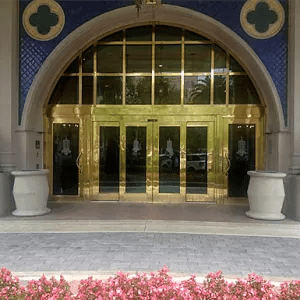 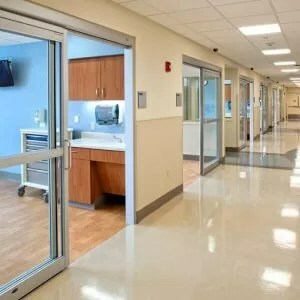 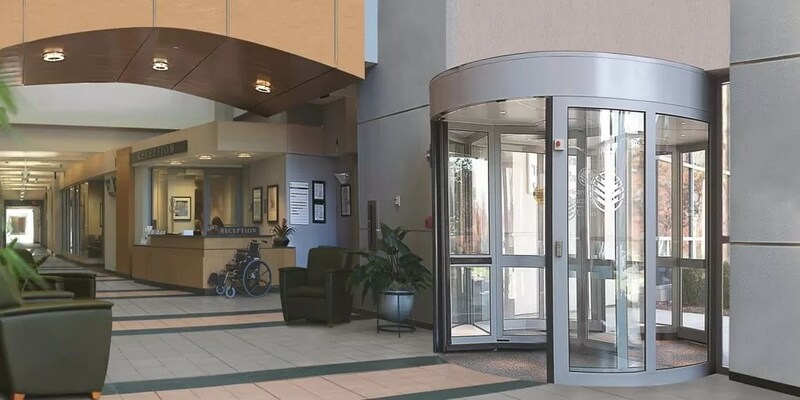 The increased space provided by the Besam UniTurn revolving doors can accommodate shopping and luggage carts, wheelchairs, stretchers, and even large crowds with ease. 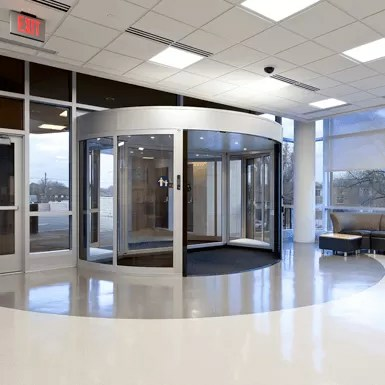 The Besam UniTurn is available in a variety of sizes with the largest size of 18’ diameter able to safely accommodate traffic capacity of up to 5,880 people per hour.